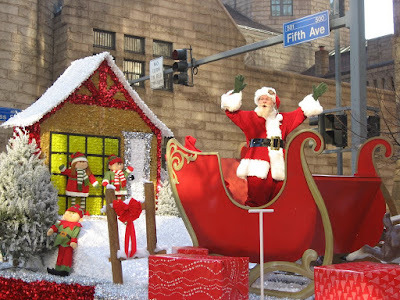 To start off the Holiday season Pittsburgh celebrated it's annual "Celebrate The Seasons" Parade downtown. Only having seen such events in movies, inspired me to check it out in person ^^. The parade was quite entertaining, even though there were many high school marching bands and a lot of local "celebrities". The only annoyance was that they regularly stopped for five minutes to give the TV stations time to show commercials during their live reports. - Ticket to Ride Europe: A short strategy game where every player tries to build train lines to fulfill his tickets. - Nuclear War: The name says it all. A game where the players fight a nuclear war against each other. Fortunately, it is kept inquite light and thus is very entertaining, however, it heavily depends on luck when drawing cards. - Tichu: Still a classic, still a fun game to play. - http://boardgamegeek.com/game/36218: This time we played my copy and I actually managed to win two times (once tied for first place).